We recently wrapped up the Girls’ Club Workshop at 826 Valencia in San Francisco, and I want to acknowledge each of the girls who made up our wonderful group: Althea, Meredith, Jacqueline, Bella, Cera, Sadie Ray, Katie, Zoe, Tiana, Katya, Rae, and Margot. These bright, expressive girls came to the Girls’ Club with an enthusiasm for storytelling, reading, and writing that we cultivated further in our work together. Over the course of 6 weeks, we explored the Seven Strengths in colorful collage; laid out heart maps of the people, places, ideas, and things in which we find a sense of belonging; and were inspired by The Dreamer to enlist our curiosity to write new story endings, just to name a few of our activities! We shared our ideas, created a space for girls to write freely and honestly, and we discovered just how proud we could be of the work we create. How amazing to have the opportunity to create community with girls all over the world who share a love of reading and writing! By giving a voice to our ideas and stories, we create positive change in the world. 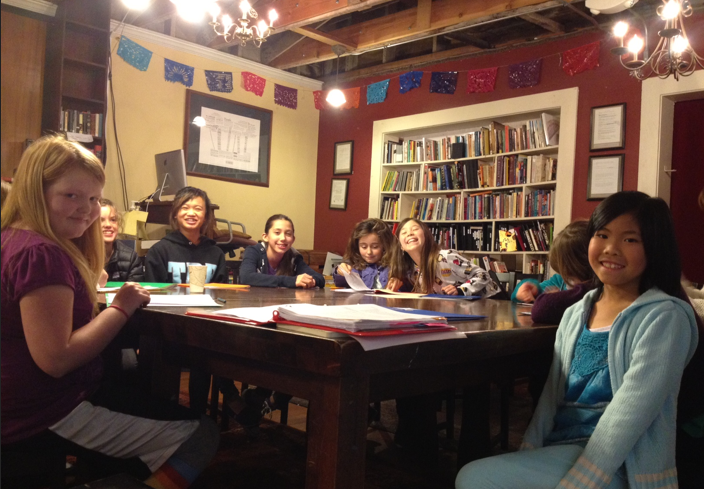 *We want to give a special thanks to our Girls LitClub facilitator in SF, Terry Hwang, for all the wonderful work she's done at the Girls LitClub at 826 Valencia! Thank you Terry! What A Vision from Girls LitClub at 826 Valencia! 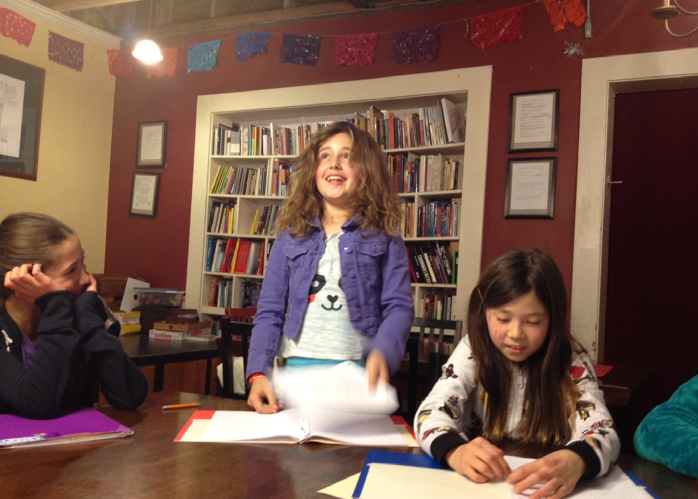 The Girls Club in San Francisco has been meeting every Wednesday evening in the writing room at 826 Valencia, an inspirational place where students from all over the city come to practice their writing skills. 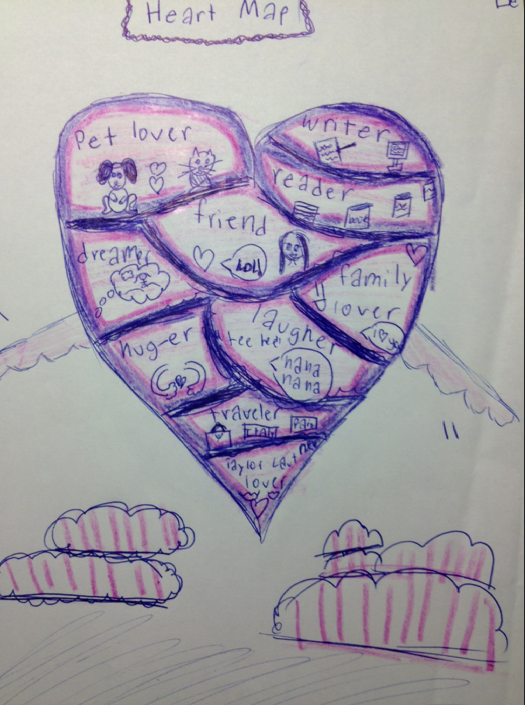 In our first meeting, we used our creativity, words, and images to explore our understanding of the seven strengths. We created beautiful collages and made positive connections between the many ideas of confidence, blooming, believing in oneself, the courage to ask questions, curiosity, friendship, kindness, and community. We are excited to create new friendships with each other while learning about the experiences of girls all over the world! *Thank you to our SF Girls LitClub facilitator, Terry, for her energy and positivity, and for submitting these wonderful photos!